McKenna 2172, originally uploaded by harmonweddings.com. 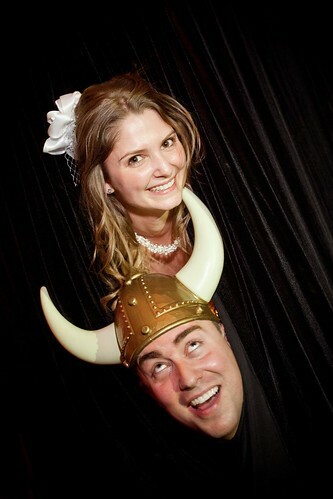 Photo booths are a total hoot at receptions! It really tends to loosen up the crowd and get them in a festive mood. Unfortunately, I don't usually carry a horned Viking helmet with me when I shoot a wedding, but there's always the option of a larger bag. Needless to say, Tim and Sarah had a great time at the reception too.